One of the biggest issues with meal delivery kits is the fact that they can create tons of waste (literally). As we’ve tested out these different services and spoken to company representatives, it is apparent that they are starting to take the recycling of their packaging much more seriously. Seeing as how Americans generated about 254 million tons of trash in 2013, the impact that meal kit waste can have is a considerable one. 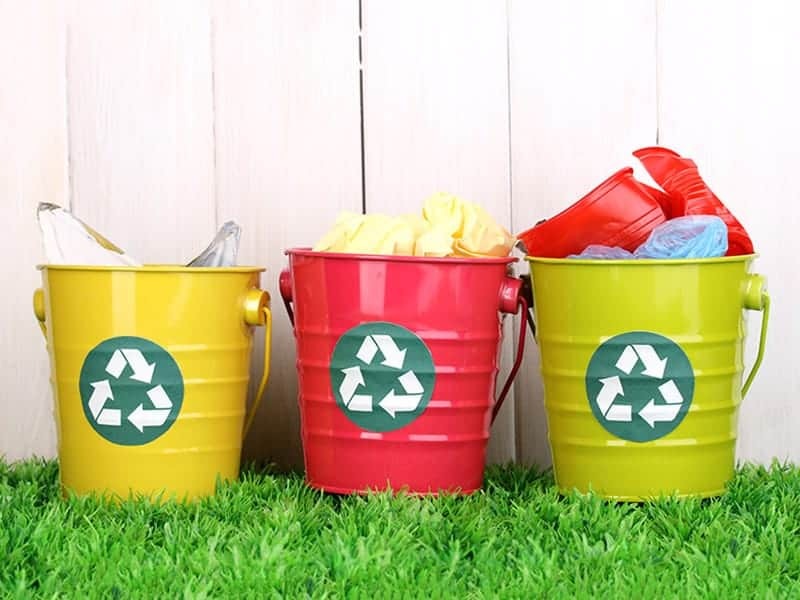 How to recycle the different packaging materials. When you receive your meal kit, it’s most likely packaged in a cardboard box that contains ice packs and different forms of plastic. Each of these items can, in most cases, be recycled. However, they are usually recycled differently. And while many meal delivery services tell you that these materials are recyclable, most don’t go into detail on how exactly you can recycle them. Here’s a quick primer on how to recycle each material included in your meal kit packaging. All that’s needed to recycle cardboard so to break down the box so that it’s easier to be transported to the recycling center. If your cardboard has been wet at all, it most likely cannot be recycled as it will clog up the automated sorting machine. Some meal kits use a soft, fibrous, cotton liner to insulate and protect the food while it’s being transported. While the composition of this material may vary by meal delivery service, it should be recyclable. In fact, Green Chef uses this type of insulation and it is 100% compostable. Styrofoam is one of the worst materials that meal kits can use in their packaging. Why? It’s made from petroleum, which is neither renewable nor sustainable. It also generates various different pollutants. What’s worse is that many communities do not have EPS (Expanded Polystyrene) recycling programs. The best way to properly recycle styrofoam is by finding a drop-off site through the Earth911 search page. If that’s not an option, you can actually mail your styrofoam to be recycled using this program. When you look on the plastic materials included in your meal kit package, you’re likely to see a number with arrows surrounding it to make a triangle. This number gives you an indication as to how this specific plastic should be recycled. These numbers range from one to seven (from easiest to recycle all the way to hardest to recycle). The most common plastics you’ll see in meal delivery kits are one and two. Thankfully, these are the most used worldwide and also the easiest to recycle as they are both widely accepted at recycling centers. Meal delivery kits will usually use one of three different ice packs to keep your food cold while it’s being transported. First there is dry ice, which doesn’t need to be recycled because it will eventually evaporate when exposed to the air and turn into a gas. Second, are gel ice packs that can be cut open and poured down the drain or even in your compost. For example, Sun Basket uses an ice pack that is 98% water and 2% non-GMO cotton. Lastly, are the ice packs that are not made of recyclable materials. These are the ones you’ll want to hold on to and reuse. Just stick them in your freezer and use them to keep food/drinks cold on long car rides or even on the way home from the grocery store. The most recyclable meal kits. Sun Basket: The mission driving Sun Basket is to deliver organic, healthy, fun meals. They carry this mission over into their packaging too. 100% of their materials are recyclable. 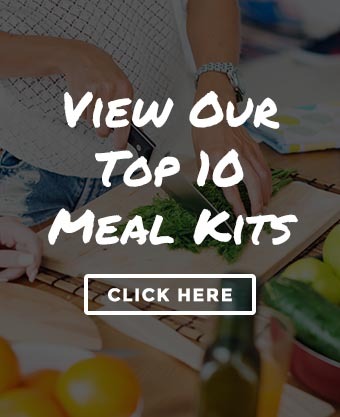 They are one of the only meal delivery kits to use a unique insulation made with recycled newspapers and is sheathed in recycled craft paper. And as mentioned above, their ice packs are made of almost 100% water. Terra’s Kitchen: Terra’s Kitchen takes eco-friendly packaging to the next level by sending all of their meals in completely reusable “vessels”. This container keeps your food fresh and cold while in transit. Once you receive it, you just put all of your food in the refrigerator, place the vessel outside your home door, and it’ll be picked up the next day. Hello Fresh: As one of the biggest meal delivery services around, Hello Fresh takes recycling very seriously. Like Sun Basket, they use a paper-based insulation called “northbox” designed for easy recycling. Blue Apron: A lot of people don’t recycle because it’s too much of a hassle. Blue Apron wanted to make recycling easier so they decided to implement a program where you can literally send back your packaging and they’ll take care of the recycling for you. It doesn’t get much easier than that. Going with a meal delivery service can make your life immensely easier by freeing up time and helping you choose what to eat. However, it is important to consider what impact the company you go with has on the environment. Seeing as how the earth is being overloaded with trash, every step we can take to cut down on our own waste makes an impact. Have a question about recycling meal delivery kits? Leave it in the comments below and we’ll get back to you as soon as possible! This was not helpful at all regarding the freezer packs. Most of them are not recyclable and it is highly impractical to store SO many freezer packs! I will never use 104 6# freezer packs in a year…. As someone who works in the recycling industry, this article had a lot of incorrect or misleading information. These companies KNOW they have a very flawed business model long term with all of this packaging and instead of developing “take back” programs, they are crossing their fingers and hoping that the material can be recycled. These are the trappings of single use materials like this. Making claims that are false or misleading creates havoc for municipalities and the waste/recycling industry while creating more customer confusion and mistrust. These companies do not do nearly enough engagement with cities and the recycling/composting industry. They need to learn the ins and outs of how this all works once the material is discarded. Just looking at the plastics recycling number and then telling customers it’s recycled is also not understanding the awful state of plastics recycling today now that Asia is more stringent. They don’t want our garbage anymore. 1) Saying something is “recyclable” vs. if it is actually “recycled” are vastly different things. Market demand for a material is the only thing that deems it recycled. If there is no demand, such as these companies not using recycled content for their packaging, then they are not helping to get “demand” established. Putting it in a recycling bin does not get something recycled. 2) Same with “compostable”. I have not found a commercial composter yet that wants the cotton material. Plus, it is such a niche material, that the volume of it is still too low to actually develop a program to put it in the yard clippings from a curbside aspect. 3) Polystyrene is recyclable but generally NOT recycled. It’s too light to make any money and just to haul it loses money. The fact that they suggested a MAIL IN program is ridiculous–the public will not do things like that, especially on their dime. The mailing is upwards of $9 according to the linked website from the foam industry. That should tell you everything you need to know of how they value their own products. They know it is too costly to recycle unless it is sent to them. 4) Most plastics are difficult and costly to recycle and the markets have dried up. That is the new reality. 5) Gel Packs: Unique to this industry and they are NOT single use. They can and should be collected to reuse. The industry needs to step up and create a drop off and collection program where they actually reuse the packs. Sun Basket claiming their goo is 98% water is not helpful. Telling people to empty the goo in the trash is NOT good. The messy problematic goo contaminates other items that could have been recovered at a recycling facility like cardboard. And the plastic covering is too contaminated and market worthless to be recycled =trash.